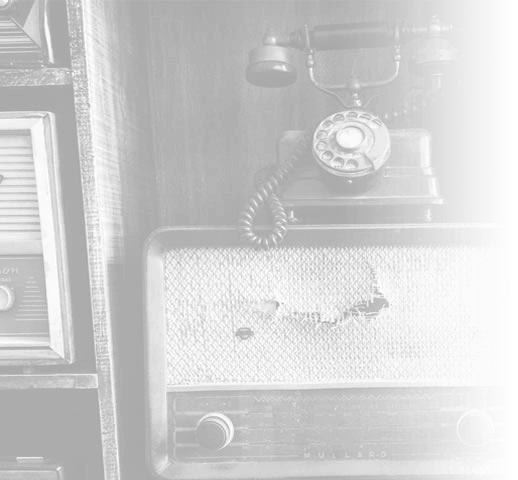 The first wave of chatbots gave us a glimpse of what the technology can do, but there was one thing consistently holding them back – conversational UI design. 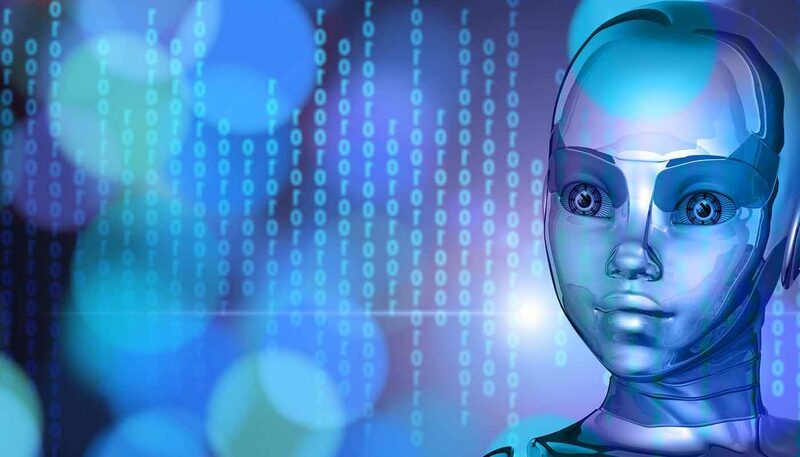 The travel industry has seen a lot of chatbots come and go over the last year with a number of tough lessons learnt along the way. As machine learning advances and conversational UI design matures, the next wave of chatbots is fast approaching. And there’s much less room for mistakes this time around – so here are five conversational UI design lessons from the best travel bots we’ve seen so far. A certain amount of typing is necessary for most conversations and that’s fine. However, reducing the amount of typing users need to do is one of your biggest concerns in conversational UI design. In the video above, you’ll see a demo of a flight booking bot from MindMeld – an AI powered, machine learning chatbot platform. In the demo, you’ll notice a number of UI elements reduce the need for typing, which keeps the conversation running smoothly. First of all, you’ll want to go with the most advanced voice recognition API you possibly can. Accuracy is important here. Next, you should use a mix of touch buttons and carousels when users need to choose between multiple predefined options. Typing is always there as an option, of course. But users should rarely need to type anything if your conversation and UI elements are properly designed. Something else that works really well in the MindMeld video is date selection – and this is important. The thing is, if you’re not building your own bot from scratch, you’ll be confined to the options available on your platform of choice. By providing “tonight” and “tomorrow” options, users have the option to quickly select these choices. Users can also select “Another date” to bring up the default calendar UI or type in a date if they prefer – as the example above shows. 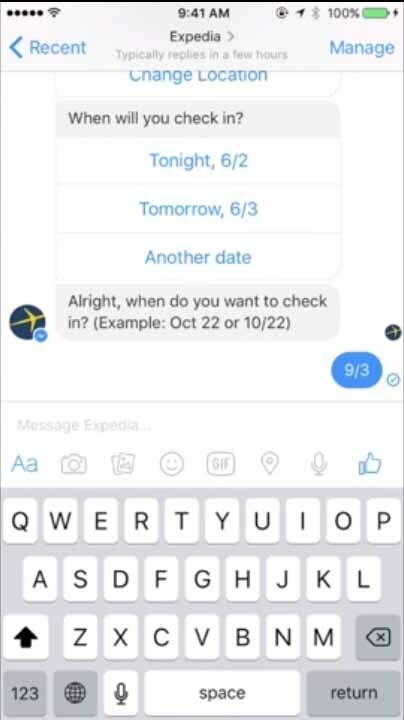 Notice that Expedia’s bot gives examples of how to format their date choices and also sticks to using them in its own date options, which creates continuity. Yes, we’re talking about voice UIs here but there are plenty of other device features you can use to enhance the experience. We’ve already mentioned touch screens as one of these features and there are plenty of others; camera, location, contacts list, etc. For example, when the Skyscanner bot asks people where they want to fly from, it provides a one-tap option to provide their device location. This saves users typing or even speaking when their nearest airport is the preferred place to fly from. If it isn’t, nothing is lost. Musement promises to help you find the best events and attractions in any given area – a handy tool if you’re visiting a new city for the first time. The conversation with its Messenger bot is nice and intuitive too. 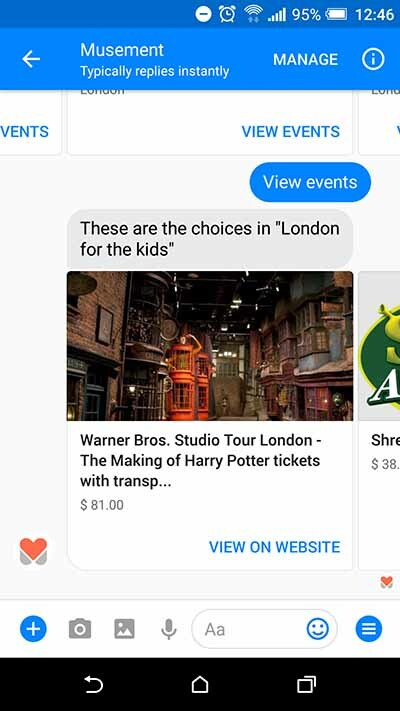 Once again, you can click to provide your location and choose between categories like “London for the kids” and “London on a budget”. It’s just a shame that prices are displayed in USD by default and there’s no attempt to localise currencies when you’re specifically searching for things to do in a country that uses GBP. Earlier this year, we looked at some of the best travel bots that were available at the time. 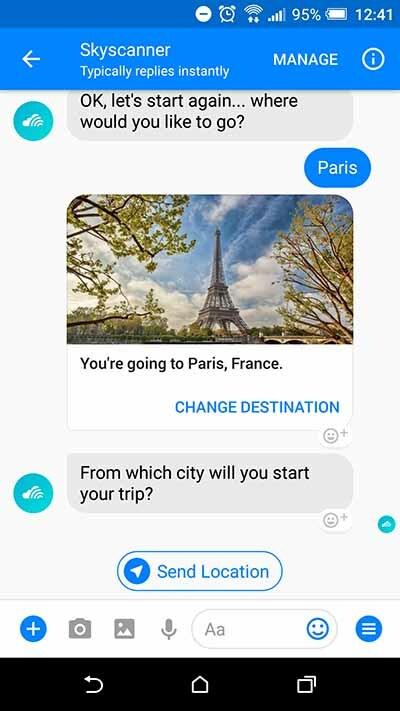 One of the bots we featured was KLM’s Messenger bot which aims to make life easier for travellers after they’ve booked their tickets. It’s a great example of using the technology as a customer service platform, which helps boost your brand image. Here, KLM is making full use of smartphone features by allowing users to get their on-screen boarding pass, which can be scanned at the airport. Users also get updates on their flight status should there be any delays and they can also reach out for individual customer services needs (e.g. seat selection, meal preferences, etc). Conversational UI design is maturing at a time when machine learning technology is rapidly advancing. The chatbots we were talking about at the beginning of this year are already looking outdated and the next generation of conversational UI highlights how much progress is being made. Chris Pitt is head of marketing at Vertical Leap and has over 20 years’ experience in sales and marketing, previously holding senior roles in tax and financial companies, working with customers such as Ernst & Young, Deloitte, KPMG and Groupama. A regular at exhibitions and events across the country, Chris has presented at all the major industry exhibitions as well as providing educational talks at Google’s London HQ. If you’re still interested in our services these posts might suit you. Can search survive in an age of conversational UI? The latest interface connecting us with the online world is one we don’t necessarily see or touch. Devices like Google Home and Amazon Echo are the first of many to bring conversational UI into our living rooms and the likes of Facebook, Apple and Microsoft will soon follow suit. In the case of AI travel tools, the impact of artificial intelligence is more obvious – and it’s already changing the way people search and book their travels online. That is, assuming users need to actually search or book at all.